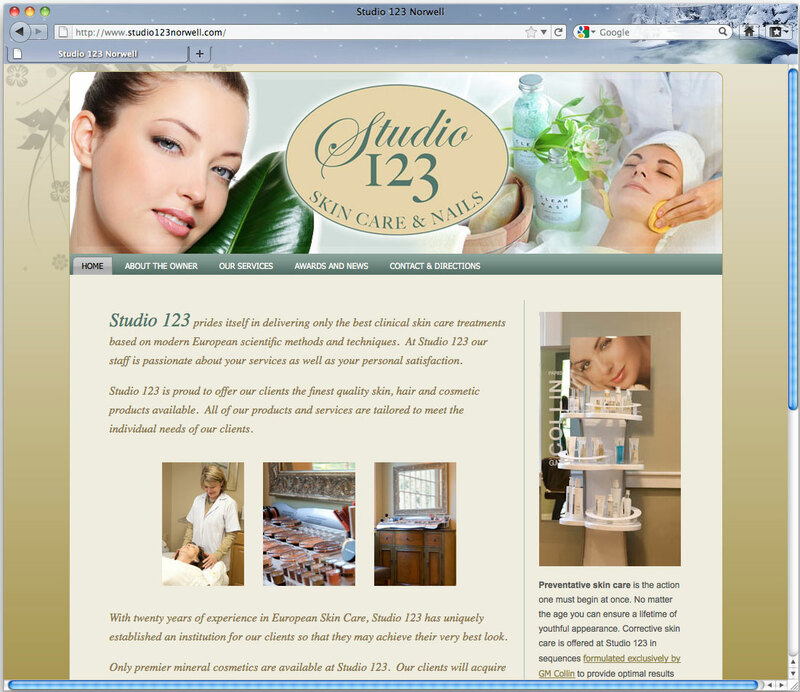 The Challenge: Ewa Deveney of Studio 123 Norwell is the owner of a beautiful skin care and nails boutique. She realized that her logo, printed materials and website did not adequately represent her business. The Solution: We created a softer, more feminine, high-end look, in colors and feel that match her salon. Now, from signage to business cards to website, potential clients can truly get a sense of the great services she offers. see Ewa's luxurious list of skin care services, even caviar!